3 MAY 2017 • 9:46AM Don’t be caught on the hop: 30 craft beers to buy before prices go up…. Beer is made for long summer days: it’s mostly water, fairly low in alcohol, refreshing and hydrating. The only difficulty is coping with the vast array of choice on offer as new styles, brands and breweries – both micro and mainstream – emerge. However, the price of many craft beers is reported to be set to rise sharply. Key ingredients used to make beers are commonly imported from America where prices of hops have soared by up to 60 per cent, an increase that producers may need to pass on to consumers. So, stock up while you can! With so much on offer, which should you look out for? Not as well known as lager, but great for summer, are sour beers. No, I haven’t gone mad. Some styles are deliberately sour. It may not shout this on the label, so read the tasting notes or look for names and terms such as “Berliner Weisse”, “Gose”, “lambic” and “gueuze”. Think of these as acidic rather than sour, in the same way acidity is a positive characteristic of wine. Adventurous brewers are making sour beers inspired by lambic and gueuze from Belgium or Berliner Weisse and Gose from Germany. The former gets a cider-like sourness from wild yeast, the latter are wheat beers given tart flavours by adding special bacteria and, in the case of Gose, salt and herbs. It sounds odd but the results are delicious. Modern versions often also incorporate wonderful fruity flavours from hops and make a sophisticated summer tipple sipped from pretty flutes. Beer is perfect for picnics, too, and the craft beer movement has prompted the return of the can. Not only are cans lightweight, they are also brilliant at keeping beer fresh because they protect the contents from light. Once the holiday season kicks in and the sun is shining, there’s a temptation to get stuck into all-day drinking. Cue “session IPAs” – another beer style imported from the US. They have all the piny, resinous hop bitterness of a US IPA but less of the alcohol so you can put away a few pints without feeling too much the worse for wear the next day. It’s something the British excel at and the Americans have learnt from our brewers. Or you can simply soak up the booze by pairing beer and food – something Americans could teach us about. Whether it’s a malty amber beer with a burger or a tangy lambic with shellfish, you’ll find plenty of bars in the US include suggested beer pairings on their menus, but few British pubs follow suit. For some diehard beer drinkers, all such trends are anathema. Fear not. Traditional British beers are not only alive and well, but also great for putting you in the holiday mood. 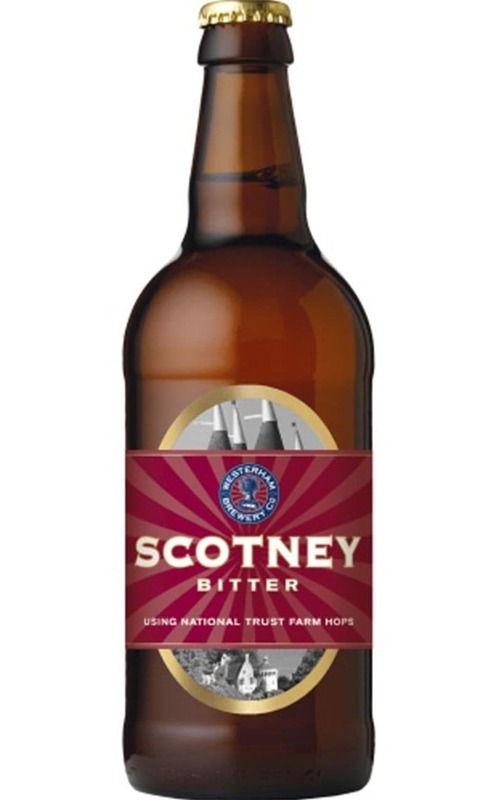 Clean, refreshing lager, brewed in Kent, but in the style of a Czech pilsner. Expect relatively high levels of hop bitterness from saaz hops – which adds to the refreshment on a hot day. It’s also gluten free. Available from Westerham Brewery. Don’t be fooled by the aromas of plums and fruitcake – although there’s good body in this bitter it’s very drinkable. Marmaladey hop bitterness is perfectly balanced with wholemeal-bread-like malts. Available fromWesterham Brewery.